Our staff is available Monday through Friday. E-mail for technical support on Solid Converter Mac. 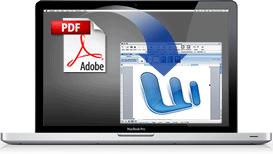 Powered by Solid Framework, the leading PDF to Word, Excel and PowerPoint reconstruction technology licensed by Adobe® Acrobat ® X, XI and DC. Copyright © 2018 Solid Documents Limited. All Rights reserved.